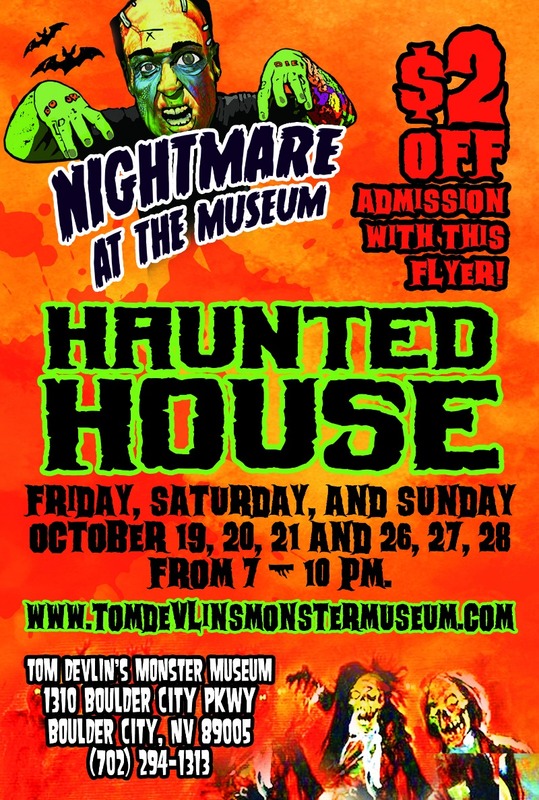 Head over to Tom Devlin’s Monster Museum these next two weekends and you’re guaranteed to get a fright! 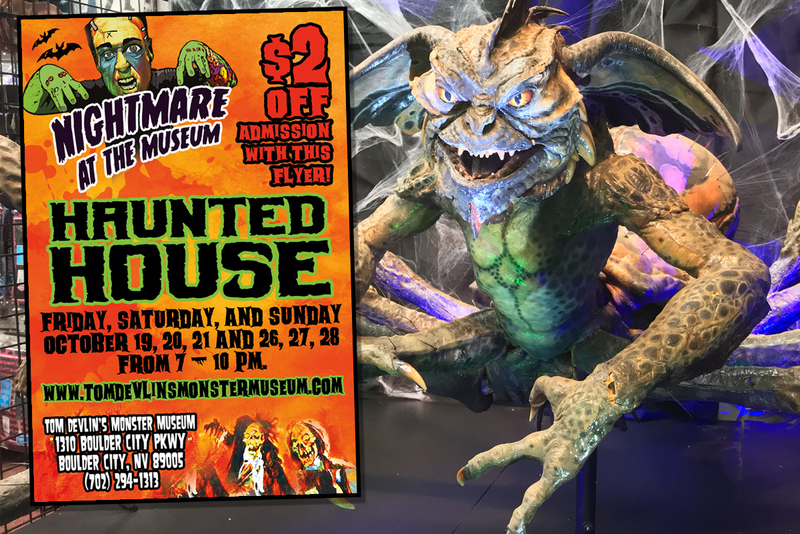 During the day this local Monster Museum is truly a great Boulder City attraction (if you’ve never been, read more about them from our previous article HERE). Tom tells us that they’re looking forward to putting on their scary costumes again this season! And with his extensive background in the scary movie business, we’re telling you – he knows what he’s doing! He says that if some younger kids show up, they’ll try not to scare them too badly – but that they won’t break character! Days and times are on the flyer below, and also remember that they sell costumes. So if you’re headed to an event this Halloween (or just like dressing up…) then shop here first before heading over the hill!